Reading lessons aim to foster a love of reading, build confidence, and equip children with the skills they need to be fluent readers and creative, confident writers. Instructors and children work towards these goals through activities that incorporate listening, speaking, reading, writing, and collaboration. Children also achieve shorter-term goals at each learning level as they build greater fluency. The activities described here are examples of how instructors engage learners and help them progress toward the key objectives of each level. 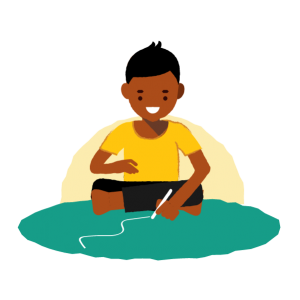 Implementers of TaRL programmes can create their own, context-appropriate activities, guided by children’s current levels and key learning goals. In line with many TaRL assessments, there are five reading levels (beginner, letter, word, paragraph, and story). Depending on the number of instructors available as well as the number of children in each group, appropriate levels might be grouped together. Instructors are careful to note when children improve and, once children are able to read at one level, instructors move them on to the next. The goal for this group is to build confidence and self-expression, make decoding text less scary, and provide a firm foundation for recognising letters and phonemes (small, separate sounds that make up a word). In the first few levels, children practise reading words and simple paragraphs, along with learning the systematic process of decoding letters and phonemes to “sound out” words. To achieve this, Pratham uses a combination of the whole language (which focuses on making sense of the skills used in reading and writing) and phonics (which focuses on the sounds make by letters) approaches. Pratham’s teaching and learning approach incorporates reading, writing and speaking, and highly values collaboration in the classroom. Through systematic focus on decoding, using phonetics activities, Pratham also helps children to map letters to sounds. For children who are unable to identify letters, text can be very intimidating. To overcome this, TaRL classes expose children to letters, words, and longer text daily. Instructors encourage children to read often, and praise them for their effort. Pratham believes it is important for beginners to discover that reading can be fun. Instructors give children the opportunity to interact with text through a short, low-pressure paragraph reading activity. 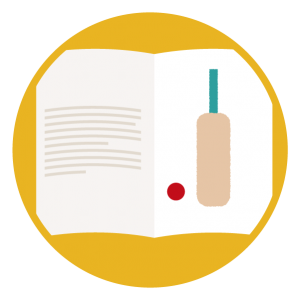 Instructors encourage children to read, even if they do so by memorisation. Children begin to understand that printed letters have meaning, that words on the page are read in a particular order (for example, from left to right and top to bottom in languages like English), and develop curiosity to understand written text. For children who have not had much exposure to text, this exploratory stage is crucial to develop their interest and set their literacy development on track. In this way, learners build motivation to become fluent readers before diving in to learning specific letters and phonemes. A strong foundation in listening comprehension helps children build skills for future reading comprehension. Instructors encourage discussion and storytelling for learners at the Beginner and Letter Levels. At the start of each class, instructors lead an informal chat, encouraging children to share stories, or sparking a discussion with a picture of a familiar scene. Children discuss topics of interest, answer questions, and listen carefully to the instructor and their classmates. With the instructor’s help, children learn to speak clearly, use full sentences, and expand their vocabularies. Each activity requires that learners listen and contribute their own thoughts, opinions, and knowledge. When the class reads a text, the instructor asks basic questions to help learners develop and demonstrate their comprehension. Learners’ active participation in speaking and listening activities builds language comprehension skills, confidence, and creativity. In TaRL classes, children practise these skills at all levels. At the Beginner and Letter Levels, instructors systematically teach children to recognise key combinations of letters using a phonetic chart. Instructors might use words familiar to the children to link specific sounds to their representations on the chart. Children play a variety of phonetics games, discuss their favourite letters and words, and begin to practise writing letters. https://www.youtube.com/watch?v=2J4IP-mgAXY&t=141 The phonetic chart activity in the video above helps children to connect the sounds they hear with specific letters and combinations of letters. For children at Beginner and Letter Levels, instructors use the chart to help them practise recognising sounds, match them to letters, and combine sounds to form words. As the instructor and classmates read the letters, children follow along in their own smaller versions of the phonetic chart. Children take these charts home, where they can continue to practice sounding out letters and phonemes, or forming words. Instructors make phonetics fun by playing games. For example, in Zambia children play the Kambeba (basket) game, where they sing a song as they pass around a basket full of phoneme cards. 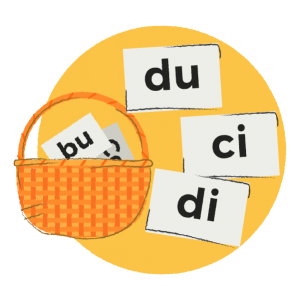 When the song stops, a child picks a card at random, reads it out to the class, and comes up with a word containing the phoneme. In a variation of the game, children are also asked to write the word with the help of the phonetics chart. To reinforce learning, instructors introduce word-building activities. Children might use homemade flashcards at first, and copy the words they make. They soon progress to writing their own words without the help of the chart or cards. Instructors aim to help children at Beginner and Letter Level become familiar with the mechanics of writing, and practice forming letters and words. Since the children are just beginning to write, they practice holding a pencil or piece of chalk and copying letters and phonemes from the phonetic chart. During small group activities, children write on the floor with chalk. In this way, all group members are able to participate. Work can be written, erased, and rewritten, and children dynamically interact with letters throughout the class. With regular phonetics and writing practice, children begin to form their own words by combining the letters and phonemes they have learned, and writing without the help of the chart. The floor is a valuable resource during TaRL time. Children write on the floor during small group activities. This allows them to write freely, using the classroom space, rather than paper which might run out. Children are free to make mistakes and correct themselves as they learn. 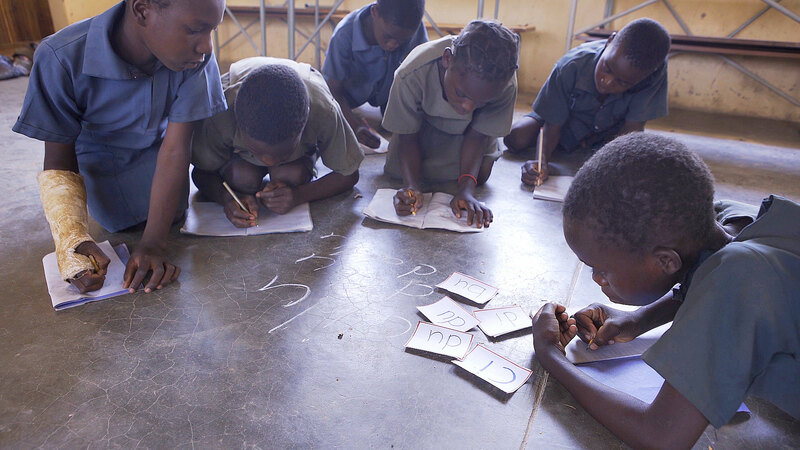 (Writing on the floor also allows them to collaborate easily, with everyone in the group able to see the floor, and children are encouraged to take turns holding the chalk.) At earlier stages of reading development, children engage in repetitive writing activities and using chalk on the classroom floor allows them to write as much as they like to hone their ability to form letters. Since children at the Word Level are able to read words by sounding out letters and phonemes, they no longer need to practice with a phonetic chart. They begin to build fluency, recognising the structure of sentences and creating their own sentences. This is achieved through daily exposure to words, sentences, and simple paragraphs, as well as practice in writing their own sentences. At the Word Level, instructors help children move from sounding out each letter or phoneme, to automatically recognising written words. This is done by giving children ample practice reading words and simple sentences, before progressing to reading longer, more complex sentences. As children regularly practise reading, the process becomes automatic. Instructors use engaging texts to keep children interested in reading. Students play sentence-building games to reinforce their understanding of structure and begin to write their own sentences. Instructors help children at the Word Level learn how to recognise sentence structure. For example, in English, they will understand that words at the beginning of sentences begin with a capital letter, that sentences end in full stops, and that the reader pauses at each comma. Rather than introducing children at this level to a list of complicated grammar rules, instructors encourage discussion of sentence structures, and help children to realise the structure of their own written sentences. Writing is an important component of understanding sentence structure. Instructors ask students to create sentences using a set of words, and eventually, write their own sentences. Children build sentences together in their small groups. They discuss their sentences, check each other’s punctuation, grammar, and spelling, and collaboratively brainstorm new sentences. This simultaneous practice of reading and writing sentences helps learners become familiar with grammatical structures. At Paragraph Level, instructors aim to strengthen learners’ understanding of grammar and punctuation, instil a habit of daily reading, and strengthen reading comprehension. When children are able to read a simple paragraph or short story fluently, they are better equipped to begin reading and writing longer texts, and to start using text to think about more complex concepts. Children at these levels practice their critical thinking skills through comprehension activities. In this group, children continue to develop fluency through regular reading practice. Many TaRL instructors begin to notice that children develop a sense of mastery at this stage, becoming more confident in their abilities, and enjoying reading. Children are encouraged to read new, more challenging texts, and grapple with the meaning of longer texts. Instructors introduce new, unfamiliar words to help children expand their vocabularies and begin to understand unusual letter combinations and pronunciations. At Paragraph Level, the instructor focuses on more complex grammar rules, helping children to understand the difference between correct and incorrect sentence structures. In one grammar activity, instructors give children a set of incorrect sentences, and ask them to find and correct the errors. They also encourage children to notice the grammar in their own sentences, through prompting them to note differences in their spoken and written language. For example, if the child repeats “my sister” in each sentence, instructors might ask him to cover up his written sentences and speak briefly about his sister, noting that when he speaks about his sister, he sometimes uses the word “she” to replace “my sister”. Recognizing grammar rules through discussion rather than introducing a list of grammar rules, helps children to understand grammar through their own reasoning and helps them remember these ideas. Children also read and correct each other’s work. Children read paragraphs, moving from simple paragraphs to longer, more complicated texts. The instructor continues to use familiar topics that are interesting to the children, but varies sentence structure and vocabulary to help learners develop comprehension skills. Children work together to answer questions about text and help each other to grapple with more complex text. Through engaging with text together and answering questions, children build their reading comprehension skills. To introduce children to new stories, TaRL instructors might write the story on the board before the class, or write the story on a chart and paste it on the board. Instructors sometimes create their own stories, tweaking the difficulty based on the levels and interests of the children in the class. 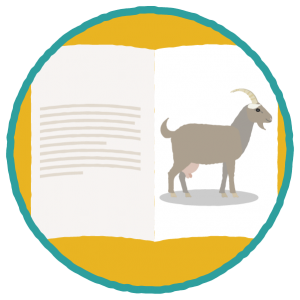 With guidance from training, instructors create their own challenging questions based on the text, or ask children to come up with questions to test their classmates’ knowledge and understanding. Children write longer texts, connecting their sentences to form paragraphs, and including more complex sentence structures. Instructors help children to express themselves through writing and to begin to think about grammar through discussing their own writing. Children at the story level are fluent readers, capable of reading longer texts. Instructors focus on improving reading comprehension and presenting more complex texts. They also encourage creativity and help learners to plan and organise their writing. At the Story Level, children practise their writing every day. They also read and evaluate each other’s work to strengthen their ability to pick out common spelling, grammar, and punctuation mistakes. 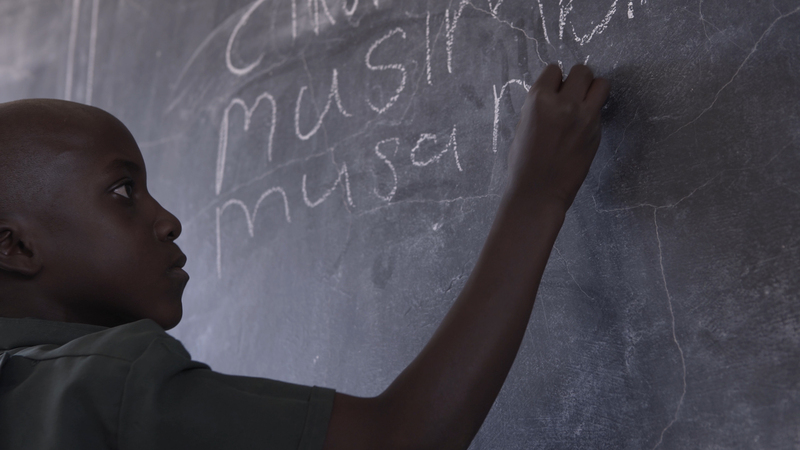 During individual writing activities, the instructor assists learners one-on-one, praising their ability to write creative stories, and challenging them to use correct spelling, grammar and punctuation. In this way, instructors build children’s confidence while helping to improve their writing.